When your business is hauling liquid of any kind, rely on the tank trailer experts at Delta Trailer Inc. to keep you rolling. Whether you make trailers, are in the transportation industry, or are a chemical manufacturer, your stock needs to be on the move. We have the parts you need and the shops to install them. Get your trailers inspected and have critical maintenance carried out. Quality service tailored to your precise needs is what we’re all about. 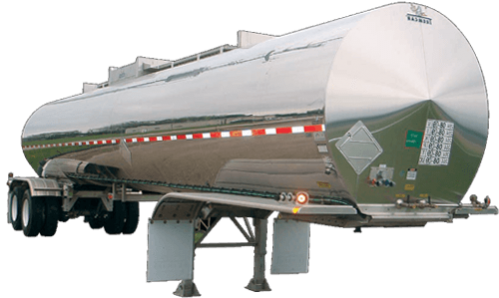 Delta Trailer Inc. is a member of National Tank Truck Carriers, and is certified by The National Board of Boiler and Pressure Vessel Inspectors. Many of the skilled and knowledgeable professionals in our company have more than 30 years of industry experience. Our slogan really says it all. We are leading the way with innovative service to the tank trailer industry. We’re a small company that is big on providing quality work. Not many outfits in our industry have as many repair shops as we do. We have five, from Alabama to Texas. We serve the Gulf Coast and have expanded into the Gulf South region. We don’t believe in using voice mail and we use e-mail as minimally as possible. We focus more on face-to-face and over-the-phone contact. When you call Delta Trailer Inc., you always reach a real person. We are prompt and efficient. You always get through to us and receive an answer to your queries.